The Waynesboro Police Department has made its first arrest involving the new psychedelic drug, 25i-NBOMe or commonly known as “25i,” as the result of complex drug investigation involving the sale of heroin and hallucinogens. 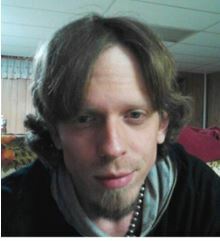 Jonathan Goalder Brower, 25 years old of Waynesboro, was arrested on April 27. He is free on bond. On Jan. 22, 2014, officers executed a search warrant at Brower’s home in the 3000 block of Hampton Drive. During the search, they found several drug related items including five pieces of aluminum foil with blotter paper. Initially, officers believed the blotter paper to be LSD. However, a lab analysis conducted by the Virginia Department of Forensic Science that was requested by the investigating officer, determined the substance to be 25i. 25i is a synthetic phenethylamine and is considered extremely dangerous due to the hallucinogenic effects that causes on users. In November 2013, the Drug Enforcment Agency made it illegal for two years.